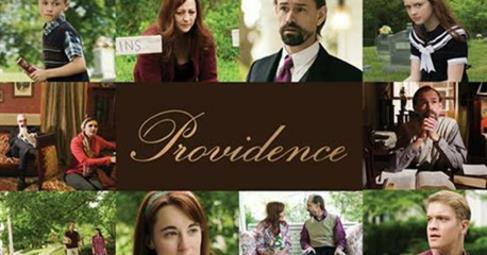 The Red Carpet Premiere of Providence Movie is November 8 at the Franklin Theatre in Franklin, TN. Theresa’s upcoming single, “My Home” is featured in the film. “Providence” is the sixth feature film for Nashville filmmakers Fred and Sharon Wilharm. Their last movie The Good Book accumulated a long list of film festival accolades including Best Film, Best Cinematography, Best Musical Score, and Pastor’s Choice – AFA Truth Awards; Staff Choice – The Narrow Way Christian Film Festival; Film Innovation Award – Churches Making Movies; Best Feature and Best Female Director – GloryReelz Christian Film Festival; Best Inspirational Film – Holywood Christian Film Festival; Most Uplifting Film – International Christian Film Festival; and Best Ensemble Cast – Bare Bones International Film Festival. Cast members include Rich Swingle (Beyond the Mask, Alone Yet Not Alone), Juli Tapken (Surrender, The Reins Maker), Josh Allen (Home Sweet Bus), Stacey Bradshaw (Touched by Grace, The Wednesday Morning Breakfast Club), Chase Anderson (Where Hope Grows, Gabriel), Emily Knapp (The Good Book), Irene Santiago (High School Musical, Adrenaline), and Jenn Gotzon (God’s Country, Doonby). Cast members from as far away as Germany will be attending the premiere. In addition, many of the indie artists featured on the soundtrack will be in attendance. Artists include Kevin Max, Hear Hear, Cindy Palin, Theresa Rose, Jillian Linklater, Hobart Trotter, Peter Moon, Danny Jones, Jaclyn Lisenby, Kristi White, Matt Troja, TJ Kirby, Jeff Franzel, and After the Fall. Rachel and Mitchell both grow up in the small town of Providence, Tennessee. Their paths keep crossing and at one point it looks like they’ll finally get together. But the opportunity slips away and they go their separate ways. It takes a tragedy many years later before they’re reunited. This time will they let the moment pass or will they take a step of faith and trust God to work a miracle in their lives?